Call Flue Steam for thorough, professional exhaust duct cleaning in Lakewood CA. 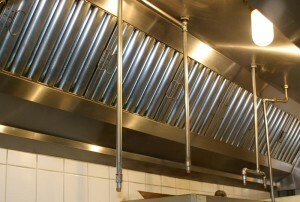 Greasy buildup in your commercial kitchen’s exhaust ducts is a serious problem. Don’t let this buildup lead to a devastating fire or a costly code violation. Instead, call Flue Steam for help. Throughout our 40 years in the kitchen air control and fire suppression business, we have consistently provided quality exhaust duct cleaning in Lakewood CA to all kinds of commercial kitchens on a schedule that satisfies local fire code requirements. Unlike some companies that let just anyone work for them, we require our technicians to become IKECA certified so you know they will be providing quality service in accord with industry best practices. By combining the two types of exhaust duct cleaning in Lakewood CA that we offer at Flue Steam, you can achieve the clean you need in the most cost-effective manner possible. Many companies that provide exhaust duct cleaning in Lakewood CA expect you to take their word for it when they say the ducts are dirty enough to require a cleaning as well as when they say the cleaning is complete. At Flue Steam, we show you the effectiveness of our service by using a special tool called an IKECA comb to measure the thickness of grease deposits in your exhaust ducts before and after cleaning. Another benefit of using this tool is that we can track your measurements over several service visits and calculate how fast grease builds up in your system. 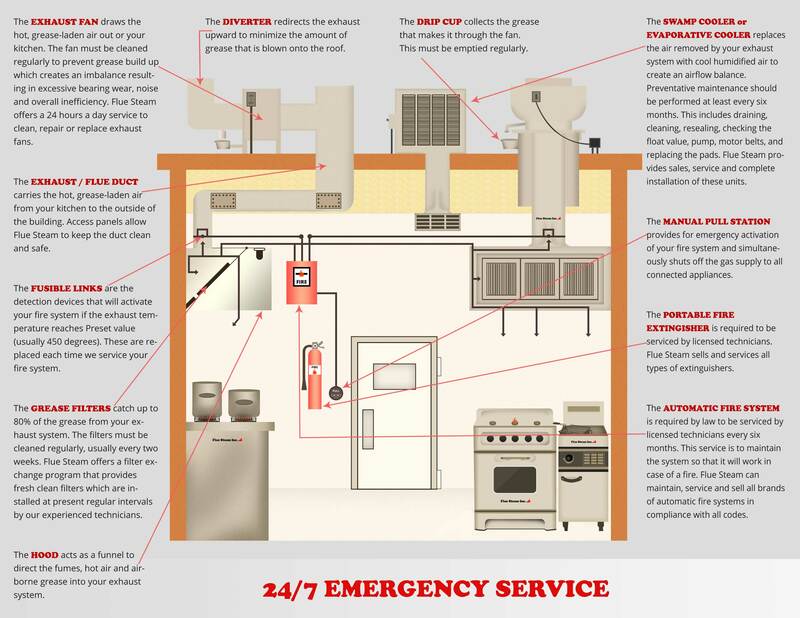 This will help make sure you get cleanings at the right frequency for your kitchen’s specific needs. Are you ready to start trusting real pros with your exhaust duct cleaning in Lakewood CA? Reach out to Flue Steam now. We can send out a skilled crew to provide the service you need at a time that is convenient for your business.